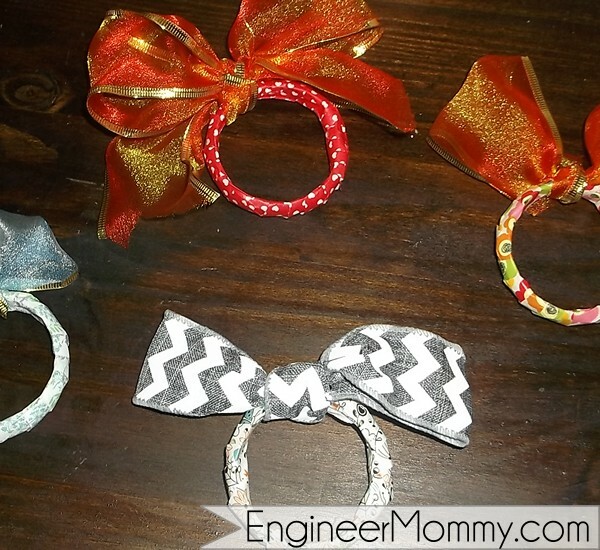 These adorable little wreaths took almost no time to make, but aren’t they just darling? I think they look so cute and adorable! 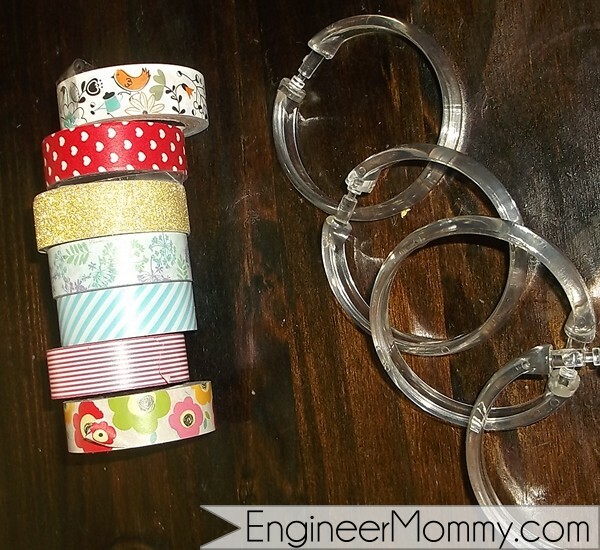 This project came about because I had a few extra shower rings lying around… and well, of course I needed to make a craft with them! 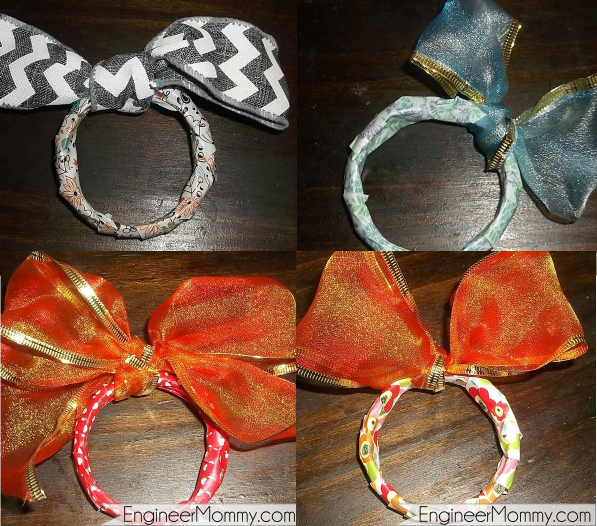 😉 If you have washi tape and ribbon in your house, then you will be all set for this craft. Oh and you need the shower rings too! 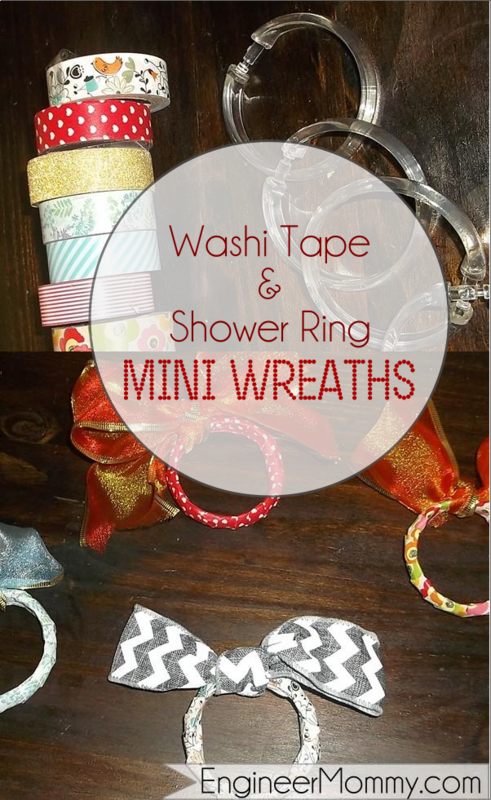 Wrap the washi tape around the shower rings. It’s okay if it’s not perfect; imperfection is charming here! Tie a pretty, big bow around the shower ring to accent the washi tape in coordinating colors! Seasonal décor: Pick colors that typify a holiday (black & orange for Halloween or red & green for Christmas) and decorate the house with the mini-wreaths. Toddler accessories: My 3 year old absolutely LOVED wearing these little mini wreaths as bracelets for a few days- I think she fell in love with the big bows! Napkin rings: Accent your tablescape with adorable washi tape & ribbon napkin rings that perfectly match your décor!